We at Cloud Cap Technology are excited to circulate the article below. 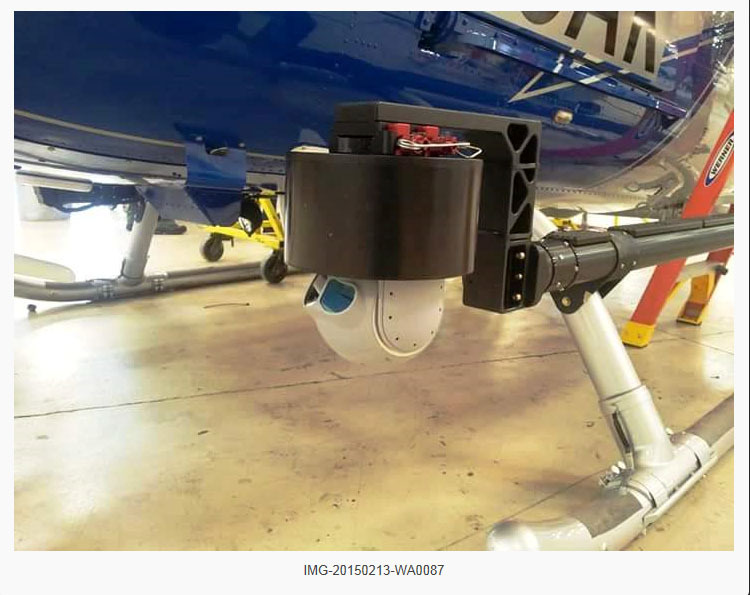 GRAESP (the Air Wing of the Military Police of the State of Pará ) plan to use the TASE350, installed on an EC145 Helicopter to patrol the Amazon Region in the north of Brazil. This is an important milestone for us providing law enforcement in Brazil with a high performance low cost system that supports their mission needs. 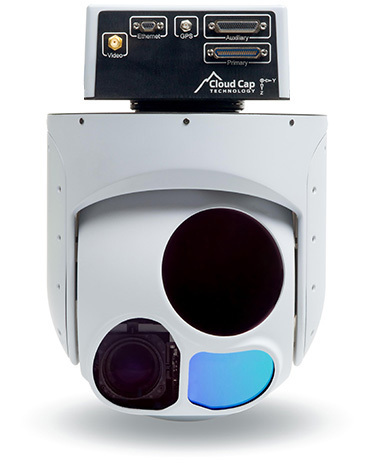 Cloud Cap Technology congratulates the GRAESP on the delivery/acceptance of this exciting new system and we look forward to supporting them with future requirements. The year 2015 in Air Grouping of Public Safety - Graes Pará State, started in full swing and with another great achievement. Between 25 and 31 January, a committee of GRAESP traveled to Shreveport in Lousiania? USA, to the provisional receipt of the first twin-engine helicopter of Pará and GRAESP, the EC 145 C2, which will be used in actions Public Security, Civil Defense and Government in the state of Pará and in the regions affected by the work of the Belo Monte Dam in the municipality of Altamira-PA. The committee was headed by the director of GRAESP, Lieutenant Col Josilei Albino Gonçalves de Freitas, accompanied by Major PMPA Jomires Rebelo Pires and the mechanic José Pereira Kennevaldo of Asuncion. Acompanharam também a Comissão representantes da importadora da aeronave, os senhores Rogério Andrade e Adrianno Barcellos, da empresa Avantto, sediada em São Paulo-SP. Also accompanied the Commission importer of representatives of the aircraft, the lords Rogério Andrade and Adrianno Barcellos, the Avantto company, based in São Paulo-SP. The EC 145 aircraft C2 - PR-PPA prefix - Guardian 05 was received by GRAESP commission, the company Metro Aviation, one of the largest companies customization helicopters and US EMS operator. The aircraft having been delivered by the American Eurocopters (Airbus) in Dallas / TX in August 2014, was delivered to Metro Aviation, to be customized with operational equipment such as the kit banks for employment troop, aeromedical kit and stabilizer serious victims (ICU) and VIP kit, in addition to custom painting to GRAESP fleet. The Guardian 05, PR-PPA prefix, will be the 9th helicopter EC 145 C2 delivered to government agencies, counted aircraft acquired by Rio de Janeiro, to compose the fleet of the Public Security Aviation and Civil Defense of Brazil and the 1st the North and the Amazon region. Painting of high visibility and custom painting blades. "There is great anticipation for the System of Public Security and Social Defense of Pará, for the arrival of this aircraft. It is a dream of GRAESP to be done, because the effective have been preparing to receive it and operate it, by heavens Pará, thus increasing the professional and operational capacity of the unit, which is now the largest in the North and the Amazon region and a the 6 largest OASP the country, besides the 3rd largest in scope, with its decentralized basis by the interior (Maraba, Santarém, Altamira and Redemption), covering 80% of the state, "says Lt. Col. Gonçalves, Director of GRAESP since May 2013 . The Guardian 05 will take off from the US to Brazil and be incorporated into the GRAESP the fleet by the end of March 2015, which today operates six (06) squirrels AS 350 B2, one (01) EC 130 B4, 01 (one) plane single-engine turboprop Caravan and two (02) monoplanadores Ximango, over 5 bases by the state of Pará, completing a fleet of ten (10) aircraft. The Para population is to be congratulated for new acquisition and eager to see the Guardian 05, breaking the air of Pará, the rescue and protection of its inhabitants.